4 1/2 Bedrooms. 2 1/2 Bathrooms with three decks. 11 beds, can sleep 12.
stainless steel appliances, outdoor gas grill, flat screen TV,3-D blue ray DVD, WIFI, blue tooth speaker system. Bath and kitchen towels provided. Please bring your own beach towels. Great location in York for a family getaway! This house was perfect for our family trip to celebrate my in-laws 50th wedding anniversary and 75th birthdays. We are frequent travelers through VRBO and this house did not disappoint! We had 8 adults total and the house was spacious for all of us. The view from the deck is great and it's close to everything. We walked to Nubble Lighthouse easily. Thank you Sue and Rick for sharing your home with us! Gorgeous views, everything was wonderful! Love the open floor plan of the living area! The views were stunning from every window. Beautiful home! Loved having 2 decks and having the option of being in the sun or not. A great spot for fun family vacation! This is a beautiful spot on the Nubble; Close to everything. All 10 of us; 5 adults and 5 kids had a wonderful time playing at the beach and exploring the area. The house was neat and clean. The only down side was that they only had a Keurig for coffee in the morning. Other than that, it was heavenly! The beach chairs were an added bonus; thanks for an amazing week in Maine! This was our first experience renting a house as a family vs. staying at a hotel or resort. This house did not disappoint and it didn't take long to feel right at home. There was plenty of room for our family (5 adults and 1 child) and was very clean. My favorite part of the house was the breathtaking views of the ocean from the main living area. Being so close to The Nubble and Long Sands Beach was very convenient and made for a relaxing and enjoyable vacation. We look forward to returning next year! 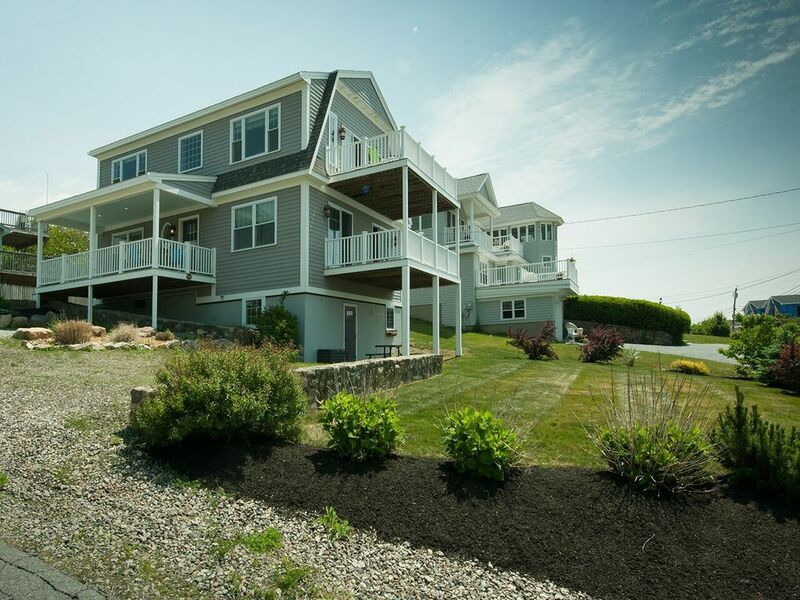 This updated House takes advantage of its location close to the both Long Sands Beach and Nubble Lighthouse by locating the bedrooms on the first floor, so the upstairs has living space and a deck with a great view of the water. There is a master bedroom also upstairs so there’s plenty of room for 8 guests. House is clean and well appointed. Loved everything about this house, the location and the view. The home is decorated beautifully and is extremely clean. The town of York and York Beach area is a perfect family vacation area. We visited with a family of 10 ranging in age from 15 to 74 years of age and there was something for everyone to do and enjoy. I would definitely return.